Prime Design provides solutions for our customers by providing a hassle free system and service to make the whole design and approval process easy as possible. 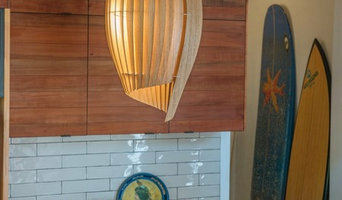 Furniture, lighting and object designer based in Launceston, Tasmania. Custom lighting, lighting consultations, handmade pieces, artisan lighting, architectural lighting, lighting concepts Custom furniture, bespoke and handmade pieces. The Kitchen Centre is a branch of the Rodman Group Pty Ltd, a family owned & run company directly employing around 40 Tasmanians. Originally started by Leigh Rodman trading as Leigh Rodman Kitchens & Bedrooms. The Kitchen Centre has two branches in Tasmania, Launceston Kitchen Centre (the Headquarters) & the Hobart Kitchen Centre. Previously the Melbourne Kitchen Centre was up & running but has since been halted due to short term difficulties. This business will resume in the not too distant future. All Kitchen Centres pride themselves on giving the best possible service & quality. Framed Renovations + Restorations is a multi-faceted building service based in Launceston, Tasmania that specialise in bathrooms and kitchens. Shane, a serial researcher, thorough to a fault and total perfectionist is the man behind the award winning rooms that have been featured in House & Garden Magazine in 2017 and 2018. Whatever the job, big or small, Shane is your detail man to ensure your renovation is of the highest quality. From concept through to completion, Shane is passionate about providing a high quality finish to your space. Enquire today for your free quote! 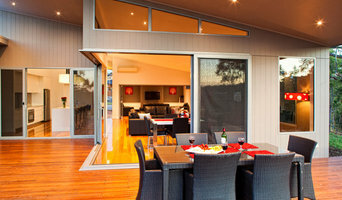 alsoCAN architects specialises in contemporary, residential developments & individually designed houses and additions. We love working at all scales, from the intricacies of small additions through to the planning challenges of townhouse and apartment design. We excel in using our extensive planning knowledge & 3D skills to model possibilities for your property to arrive at the best architectural design for the site, whether it is a unit development, residential addition, new house or warehouse conversion. Our buildings are as individual as you are; we design for flexible living & working styles, modern, light, spacious & inventive planning with a sense of warmth & texture, even within hemmed-in urban sites. Woodbury & Co Building Design provides professional design services including full project design and documentation, planning, and interior design services for residential and commercial projects. 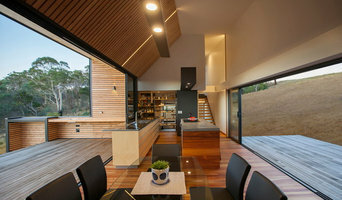 We are committed to designing unique homes that are energy efficient, use sustainable materials and most importantly, are comfortable to live in. If you’re considering building in the area, our local knowledge and expertise could be just what you need. Give us a call to discuss your project. Bathrooms by Advantage formally known as Advantage Carpentry and Joinery Pty Ltd, has over 20+ years experience in construction, joinery and project management. We service your every need when it comes to custom bathrooms. No job is too big or too small. Making changes to your home is an exciting time and we can organise your bathroom renovation from start to finish by managing the whole build inclusive of all trades, removing the stress from the process. We are fully insured and a licensed company, so you can be rest assured your project will be handled in a prompt, reliable, and friendly manner. Styl’d by Cher is a boutique interior styling and decorating practice based in Tasmania. At Styl’d by Cher we capture each clients design dreams and make them a reality. Making every client fall in love with the space they're in. By working closely and personally with each client from start to finish, understanding their style, personality and lifestyle, to create a space uniquiqully designed for each client. Whether they are building, renovating or redecorating, we will create a space that reflects who they are and the style that they love. Does your home require a much needed make-over? How often have you thought about changing your home but weren’t sure where to start? Have you ever renovated a room and now don’t like it? 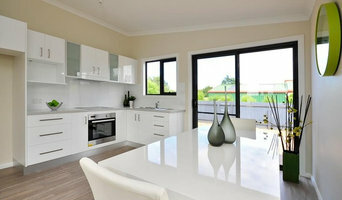 Welcome to Inside Interiors, a boutique interior design studio located in Launceston. We specialize in residential interior consultation and design from updating an existing room in your home, adding a new room, or giving an existing space in your home an important make-over. We offer design packages of work to you. Package 1 includes meeting with you to determine your brief analysis using a series of questionnaires and templates to fully investigate your needs. We will prepare a design brief, scope of work and project costing consisting of preliminary floor plans, sample board, furniture placement, preliminary selection of all equipment, materials and finishes to the desired room, and prepare preliminary specifications, costings and budget for your project. We will meet with you again to review the proposal and make any revisions you require. When you are happy to proceed, Package 2 will have Inside Interiors order all goods and services on your behalf, recommend contractors and suppliers and obtain competitive quotations, schedule the commencement of works and manage the works program to ensure timeframes are met. We will also manage contractors during the works period to oversee works, resolve problems (if any!) and importantly, ensure the work complies with the specification and delivery of a high standard of work. Inside Interiors is available to answer your questions or resolve issues during the work, and communicate progress to you. Once the work is complete, Inside Interiors will undertake a full review of the scope of works, including walk around, to ensure the work has been filled, is compliant and is of the highest standard. We will also obtain compliance certification from relevant tradespeople on your behalf to ensure that work done meets required Australian Standards. Inside Interiors also provides styling packages for homes. Renovating or making changes to the look and feel of your home can be a daunting and overwhelming task. Don’t be overwhelmed by what you see online, in magazines and on tv. Inside Interiors knows design and will give you the confidence to make the right decisions to change your home, for now and into the future. Reach out to multiple professionals — especially for larger projects — and don't settle for the first bid you hear. Comparing multiple Launceston, Tasmania professionals' bids and experiences can help you find the one that’s best for you. Ask a lot of questions now, so you won't have unexpected answers later. Find a home design professional: Narrow down your search by type of professional and location. Browse Launceston, Tasmania portfolio photos, read client reviews and contact each Launceston, Tasmania professional for more information. Check out the information in the specialised professional sections too for tips on how to hire the right professional in Launceston for your project.